It turns out that the speed controller just revs higher in forward than reverse. I called the manufacturer and they said that this isn't the case but it still is. 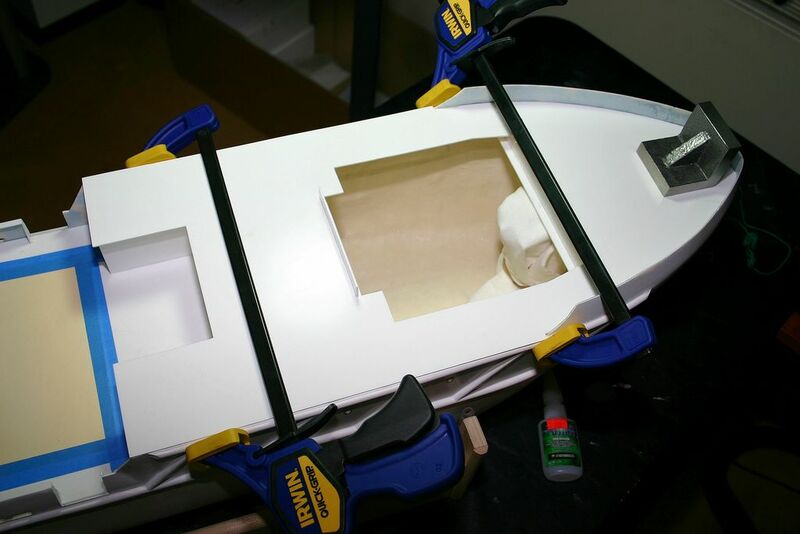 Anyway - I finally put the bowthruster to rest and glued on the foredeck. I forgot to take a picture but the gap has been completely corrected. Next is a lot of filler for the remaining gaps and then major work on the bulwark supports.